Everyone wants a great backyard. 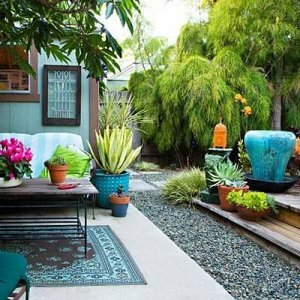 With these backyard ideas you can create a garden to be proud of. 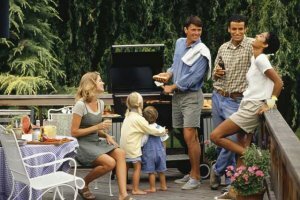 Your backyard should be the place where you can entertain, as well as the place that all the family can relax, whether that is just sitting, or perhaps tending the garden. 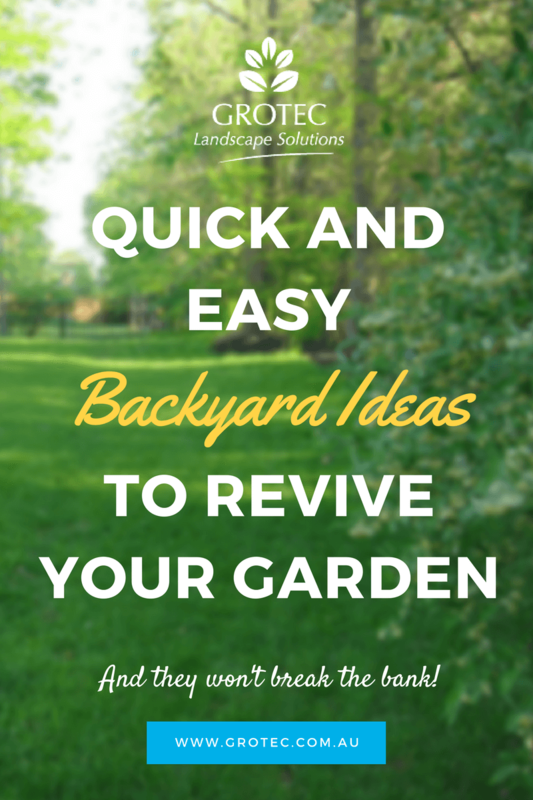 Many people have great backyard ideas, but lack the expertise to bring them to life. Grotec can design and construct a great backyard, especially for you. So, how do you decide what the backyard should look like? Because a patio or deck will increase your living space, as well as flatten any slope, the backyard should be thought of as a number of ‘spaces’, each with different function. The backyard should kept private, as well as being low maintenance. If you don’t have any boundary trees, then Lillypilly (Acmena) will cover the space to the boundary. More exotic would be espaliered citrus trees against an existing fence. There could be a multifunctional entertaining space. 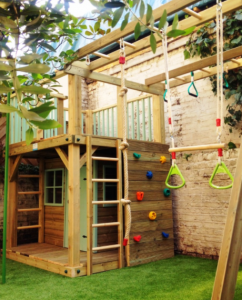 Then a space for children’s play area, a space for the vegetable garden, a space to relax in. If you have a pool, that area will be another space, as is any water feature. Each space can be defined by screening, or clever group planting. Now is the time to consult Grotec, who will design a unique backyard, and a timeline for construction. 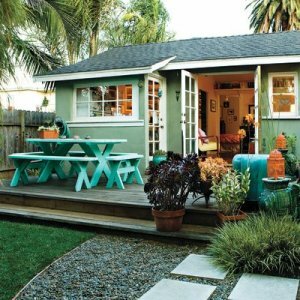 What backyard ideas will you put in each of the spaces? The entertaining space is dependent on the patio, and there is a huge range of fireplaces, and outdoor furniture that can be added, depending on the budget. Provide separation from other ‘spaces’ with plants like bird of paradise (Strelitzia), day lilies (Hemerocallis), or even busy lizzie (Impatiens). In the children’s area a backyard cubby house will be a popular investment, and could be constructed on site or as a flat pack for home assembly. Outdoor equipment for playgrounds are also readily available. The butterfly bush (Buddleia) or a similar attracting variety makes a good backdrop, as it does attract the butterflies. Always remembering that in a sub-tropical area, planting of xeriscape plants (that minimize water use) should divide the rooms. 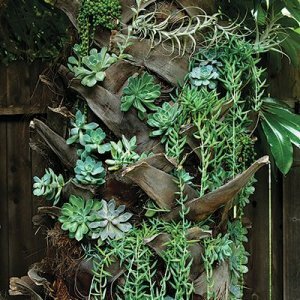 There is a big range of Australian natives to choose from, which include perennials, rockery plants, grasses and palms. Groups of the smaller varieties look great with natural stone, rather than concrete forms. A great, low maintenance backyard will give everyone pleasure for many years, so call Grotec and get started!